I found that odd too. But the Teamsters voted 2347 to 2043 in favor of the deal, so it was approved by a slim margin. But my understanding is that the Teamsters were offered a 25% share in the company's stock, whereas I don't think the baker's union was given that offer. I don't like the union's lack of communication with the company though. Given that Hostess has such a horrendous record of upper management, vulture capitalists, and "restructuring specialists" who have walked away from the company with millions, it's probably best that they go through with the bankruptcy. It's possible that someone else will buy the company, and they surely couldn't do any worse of a job than the past management. I don't think anyone would argue that the management failed to do their job correctly ...whole reason they are in the place they're in. The problem is the Union simply made things worse. The whole point of a Union is to protect the employees and they surely didn't do that. Like the old saying goes, "you can't squeeze blood out of a turnip." The Union probably wasn't even trying to do that as much as they just wanted to flex their muscle. Unions don't really do a good job of protecting employees anymore, this is a good example of that. They're just as greedy as the corporations they pounce on. I totally agree that the union was part of the failure here, but it was a very small part in comparison to what this company has been going through for years. But most of what we've seen in this thread so far has been union bashing, so I took it upon myself to present the other half of the story. A part none the less. Care to provide a reasoning? Hostess has gone through six CEOs since 2002, and with each one the company has gotten worse. And each one gave themselves large bonuses in addition to their already ridiculous salary. The company has stolen all the pension money that employees put in over all these years, totaling $50 million, or $3/hr for the average worker. And the newly proposed contract would have cut worker pay by 8% the first year, with an additional 27% over the next 5 years. So someone making $16/hr today would have made $11/hr in 5 years. The pension money would not be repaid, the weekly insurance premium would be doubled, and the overall quality of the insurance plan lowered. This union had every reason to strike against such an awful company. 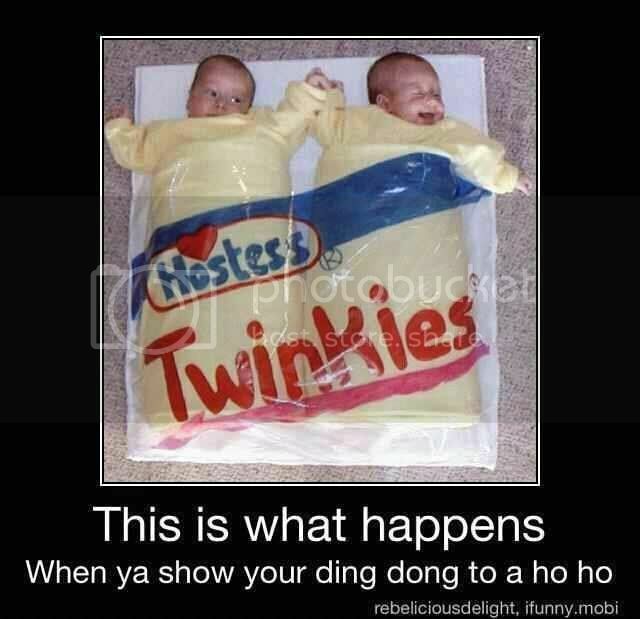 Hostess sold $2.5 billion worth of products last year. If they can't find a way to make a profit out of that then the management doesn't deserve to run this company. These workers deserve better than this. If this was your job you'd just be excited to have a job, right? While they have a reason to strike the employees chose to work there instead of somewhere else. They have a choice. Corporate greed and CEO compensation packages for not only Hostess but just about every major corporation are far out of line when compared to the compensation of the rank and file employee. The rank and file are a cell on the spreadsheet. At this point upper management in many companies do not rise from the ranks but are hired in with a college degree and no practical knowledge of how the operation works from the bottom up. You cannot always manage by spreadsheet and theory, you have to know your business top to bottom by working through each part of the operation. Is that the crux of the problem here? Sounds like it with 6 CEO's over 10 years. Hire and fire because everyone want results i.e. $. In this day and age it is all about instant gratification rather than a long term drive to improve with deliberate steps. That takes to long to generate cash flow for the investors.